Computers are used in every field as it makes our work easier and faster. While working with desktop computers you may have come across the problem of heat that comes out of the CPU during its operation. Being one of the intricate pieces of latest technology, computers have several small components which should be run smoothly. Cooling fans in computers are its essential part as it keeps on moving cool air over its components. 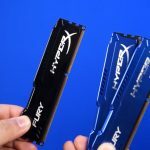 In case your computer gets overheated then there is requirement for installing cooling fan or replacing the existing one. It can make the computer work better. Firstly evaluate your CPU (case) specification. 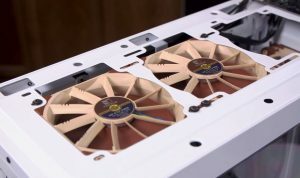 80 & 120 mm are the two main fan sizes of computer. 60 & 140 mm are other two sizes of computer fans which are not used generally. 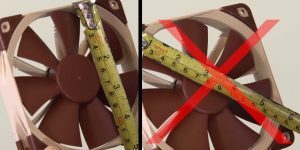 If anyone is unsure about fan size then they can simply uninstall the existing fan and can ask your computer retailer to measure its size. 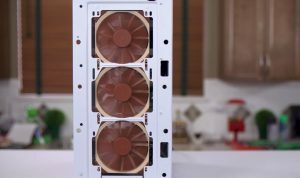 A 120 mm fan size is the most often dimension in modern cases. In case you are unable to install the burnt fan then take the help of fan replacing videos where step by step procedure of fan replacement is suggested with the help of pictures. Such videos can be of great help as well. Look at the case. You need to find out the spot where fan was installed earlier. This spot can be located on the back side, front as well as at the top of the central processing unit. 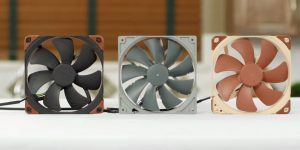 Configuration & quantity of fans can be different for each case. If there is an option of larger fan in your case then replacing that one can be a better solution to heating problem. 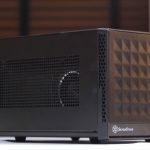 Computer fans that have 120 mm of dimension work quietly and help in drawing more air in its single spin. It can make computer work more efficiently. Different fans can be compared- you will find multiple options of fan manufacturers from where it can be bought. Always prefer lower volume along with high reliability. As these fans are inexpensive so you can choose to purchase the pack of four fans. 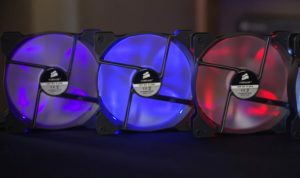 Now days you will get an option of LED Fans which are much more improved versions of standard computer fans. The former can add up the color effects to your personal computers and these can be litter costlier than later one. Fans with exact power connector are to be chosen. 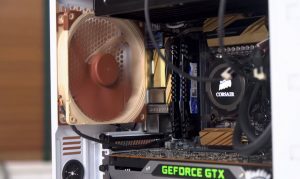 Before installing a cooling fan in PC you can evaluate power connector by inspecting cables which are connected to power supply. 3-pin, moles and 4-pin are some of the common connectors used. For controlling the fan speed, it can be connected to motherboard as well. Mostly 3-pins or 4-pins fans connectors are used with motherboard. Unplug your computer. 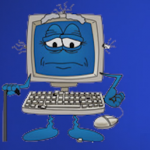 To avoid electric shocks and other fuse problems it is always advisable to unplug computer systems while installing fans. If your computer is connected with other source of power supply like UPS then discharge such power as well. Side panel of the case is to be removed. To access the inside area of case you will have to take away side panel which is placed just placed in reverse to motherboard. Screw driver can be used to remove such panel as well. Sometime you will find side panels which almost swing. Vents are to be located efficiently. These vents are important as it helps in supporting fan installation. Just depending upon the CPU you can search vents on top, side, back as well as front side of the your computer system. Power connector can be located on motherboard. In the situation where there are multiple fans as compared to connector then you can make use of Molex adapter so as to power extra fans. 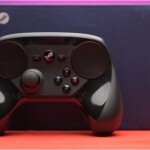 It is important to understand the working of computer fans. It does not only blow air inside the PC but it brings fresh air to the overall components of the system. You will find a printed arrow on fan enclosure which helps in determining the direction in which the fan will move. If there is no such notification then you can see fan mechanism label. From the sticker side the air generally flows out. Wind tunnels can be created by fan set up. Through fan intakes as well as exhaust fans wind tunnel is being created. To create vacuum in the interior area of case there is requirement of more number of exhaust fans as compared to intake fans. Cool air will be breezed in through cracks or small opening due to this vacuum effect. Fan can be installed by screwing it up. To prevent rattling of fan you can secure it by tight fitting of all four screws. Cables are too placed correctly so that it does not mess up with fan blades later. Fan can be connected to “fan connector” on motherboard. Molex adapter is used for connecting fan to power supply directly. Case can be closed after placing the fan. You can monitor the working of installed fans. BIOS can be used to check out fan working in case you have connected fans to motherboard. Fan speed can also be altered through it. In windows, SpeedFan is a designed program for monitoring fan speed. You can monitor computer’s temperature. If all the installed fans are working properly then Choosing & Installing PC Cooling Fans as Fast as Possible goal has been achieved. SpeedFan can be downloaded to monitor temperature of the computer as well. 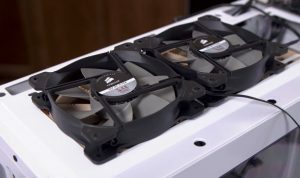 PC cooling fans are essential for the computers which are used in offices for long duration of time. 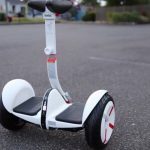 It becomes more needed when the premises is not air conditioned and the use of the systems are competitively high than that of the ordinary usage. Thus it is important to select or apply cooling fans under the given prescriptions, as discussed above.